The present case is of acquisition of land for its development in course of real estate activity of the assessee. Assessee is about to complete one project and to continue the activities has purchased another land to develop another project. The argument of the learned Departmental Representative that the proviso would apply to the assessee’s case cannot be accepted. We are of the considered opinion that the purchase of inventory is continuation of the same business activity in routine course and cannot be termed as extension of the business activity. The proviso has been inserted to dis entitle claim of interest on funds borrowed for acquisition of capital assets for the period upto the asset is put to use. The term ‘put to use’ here applies to capital asset only because a capital assets is held to facilitate the business activity and sometimes it needs to be prepared after its acquisition for being used to facilitate the business activity. As against this, purchase and holding of inventory item itself is a business activity. In absence of this proviso, section 36(1) (iii) earlier entitled assessee to claim interest in respect of capital assets, even for the period during which they were under construction as held in various judgments pointed out by the learned Authorized Representative of the assessee. The interest was found allowable despite its capitalization in the books of accounts in the judgments. We are therefore, of the opinion that the interest on funds borrowed to purchase land which is part of inventory of the assessee company is an allowable deduction under section 36(1)(iii). In all these appeals common question of law and facts are involved hence they are decided by this common judgment. 2. In appeal No. 164/2017, the application (21970/2017) for amending the substantial question of law is allowed. 4. By way of these appeals, the appellant has assailed the judgment and order of the Tribunal whereby Tribunal has dismissed the appeal of the department and confirmed the order of Commissioner (Appeals). 6. The facts of the case are that the assessee has sold 15973 sq. ft. of area out of total 89966 sq. ft. saleable area. The assessing officer computed cost of goods sold at Rs. 33588773 against Rs. 38485063 claimed by the assessee. The amount of difference of Rs. 4896290 was added in the total income. Further the assessing officer made addition of Rs. 1420327 on account of estimated expenditure incurred on the goods sold as the assessee did not furnish any details in respect of expenses of Rs. 80 lacs claimed by him. The assessing officer made addition of Rs. 37369323 on account of interest cost for project -2 in the value of inventory by applying AS-16. However, to deal with the reply of the Assessee, wherein, Accounting Standard 2 and Accounting Standard 16 issued by the Institute of Chartered Accountants of India have been discussed. Provided that any amount of the interest paid, in respect of capital borrowed for acquisition of an asset for extension of existing business or profession (whether capitalized in the books of account or not); for any period beginning from the date on which the capital was borrowed for acquisition of the asset till the date on which such asset was first put to use, shall not be allowed as deduction”. 10. 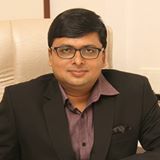 Counsel for the respondent has supported the order of the authorities and contended that the both the authorities have rightly held in favour of the assessee inasmuch as even if the contentions which have been advanced by the department, no tax liability has been reduced or there is any case of evasion of tax. 11. We are in complete agreement with the view taken by both the authorities i.e. Commissioner (Appeals) and tribunal. 12. In that view of the matter, the issue is answered in favour of the assessee and against the department. 13. The appeals stand dismissed.